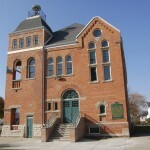 The tragedy of the RMS Titanic has fascinated people around the world for many years, and a new memorial in Marine City pays tribute to the ship’s connection to Michigan. 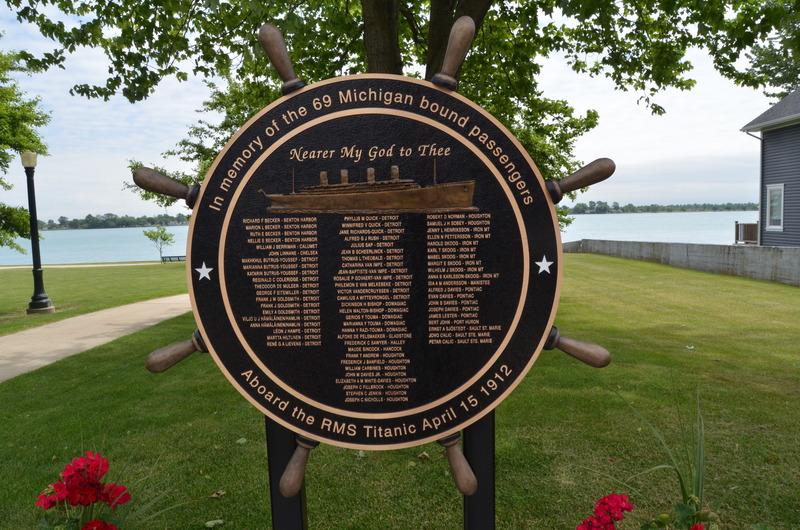 In May of 2018 a Titanic Memorial was unveiled in one the city’s parks, honoring the 69 Michigan-bound passengers who perished when the ship sank in 1912. 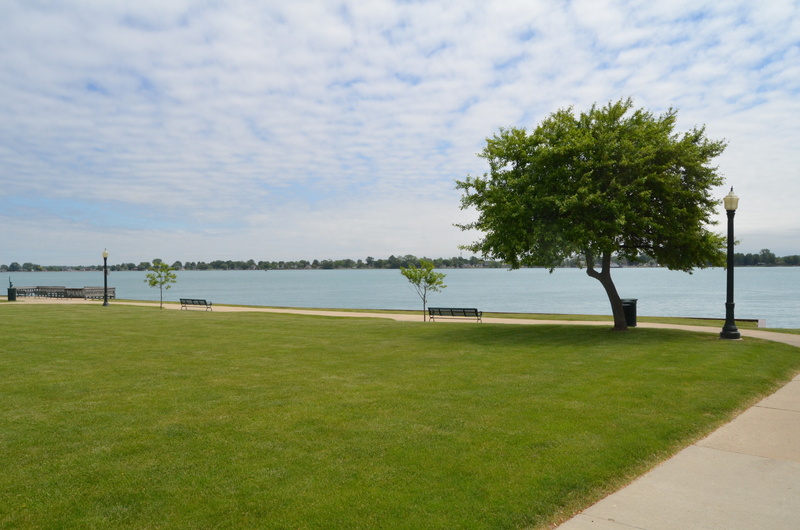 The park, which borders the St. Clair River, is a popular place for freighter viewing. 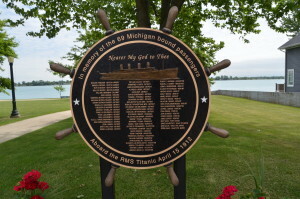 The memorial plaque is shaped like a ship’s wheel and lists each of the Michigan-bound passengers’ names and also lists where passengers were headed to in Michigan – as you will see below many were headed for the Detroit area, but a handful were headed to the Upper Peninsula (where the copper mining boom was still in full swing) or southwest Michigan. 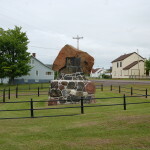 The names also show that people were headed here from all over Europe, and that the tragedy claimed the lives of many family groups that were traveling together. 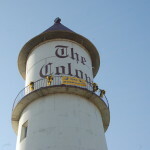 An image of the Titanic is featured above the names, with the phrase “Nearer My God to Thee” above the ship. Ben Cassell of Fine Arts Sculpture Center in Clarkston cast the ship’s wheel. 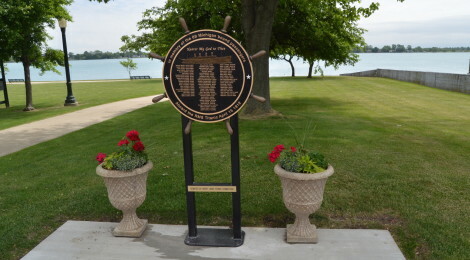 More than $6,500 was raised locally to help put this memorial in place, led by Margaret Micoff (founder of the Great Lakes Titanic Connection). The Marine City Titanic Memorial is located in a small section of park that is next to Drake Park. Parking is available on street or in the large lot across from Holy Cross Parish to the south. 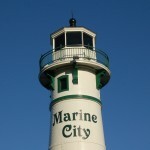 Other things to check out in Marine City include the Peche Island Rear Range Light, Holy Cross Parish – where Bishop Frederic Baraga once served, and historic Marine City City Hall.